Enhance your '10-Current Hyundai Genesis Coupe's fuel door by adding this awesome "easy-to-install" decal. Manufactured with a Simulated Billet composite look the three dimensional looking graphic is thermally printed onto automotive grade vinyl. 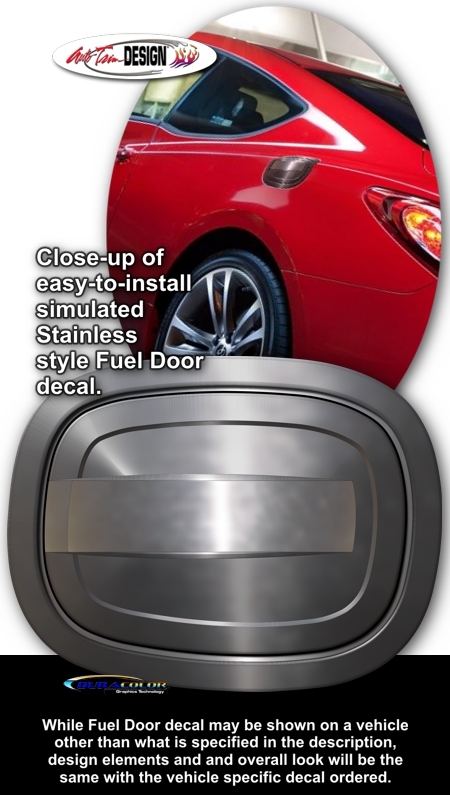 This Fuel Door decal is vehicle specific and will fit any '10-Current Hyundai Genesis Coupe painted factory fuel door and is not a "generic" decal.